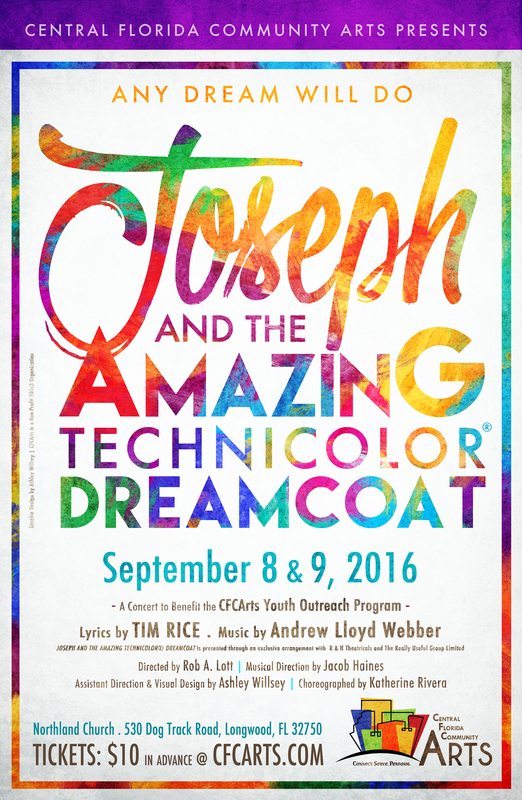 Any dream will do… The Biblical story of Joseph and his coat of many colors comes alive onstage this fall. The young dreamer, Joseph, is favored by his father, but sold into slavery by his jealous brothers. Though he initially finds favor with his master, Joseph soon finds himself wrongfully imprisoned. But when the highest authority in the land needs help, Joseph faces his ultimate challenge. Featuring a fantastic choir, live music by the sensational CFCArts Symphony Orchestra, and many of the finest actors in Central Florida, Andrew Lloyd Webber’s timeless musical, Joseph and the Amazing Technicolor Dreamcoat paints an adventure of family, hope, and the power of faith. Joseph and the Amazing Technicolor Dreamcoat will be held on Thursday, September 8th and Friday, September 9th at 7:30pm at Northland Church, 530 Dog Track Rd, Longwood FL, 32750. We are offering the convenience of assigned seating for this event! That’s right, you will be able to CHOOSE YOUR SEATS when you order your tickets. All seats in the auditorium will be assigned and will not be first come, first served. So buy your tickets now! Tickets are $10 each for advance sale ($15 at the door), Priority Seating tickets are $25 each, and tickets for Premium seating (which also includes a CFCArts Cookbook and Autographed Poster) are $50 each.